Book a session with our practitioners using these simple steps. If you haven’t registered yourself with us yet, please refer to this article for an easy 3 step sign up procedure. 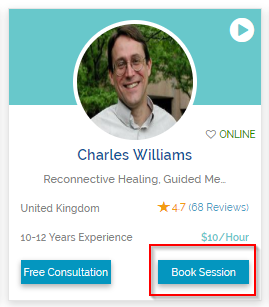 Have you already created an account on Healing Clouds and are ready to book your first distance healing session? Let’s us walk you through these simple steps to booking your holistic healing session. All it takes is two W’s to book a session. We will help you to choose your practitioner. Browse through our list of practitioners. You can also use the filters on the left-hand side of this page and refine your search result to what exactly you are looking for. We help you in 2 more ways to select the practitioner who best suits your requirements. You can send messages and ask questions to more than one practitioner. You can book a free consultation. To read more about free consultation, please refer to What is a Free Consultation? If you have already chosen your practitioner and are ready to book a 60 minutes session, here's what you need to do. 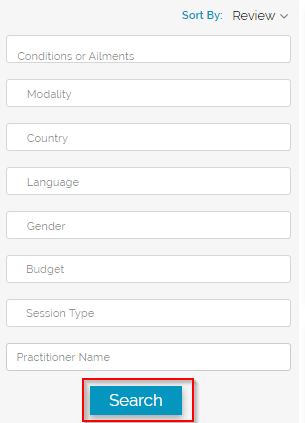 Click on the practitioner’s profile and you will see their available dates on top of the page. You can click on 'Choose date' to select a later date from the practitioner's calendar. 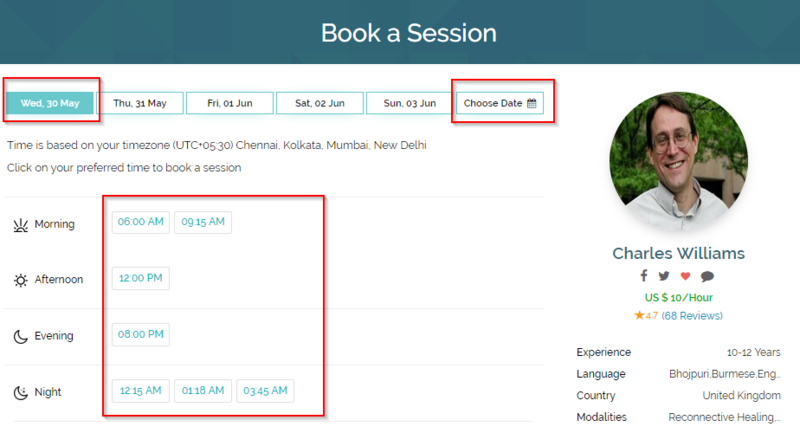 Click on a date you wish to schedule the session. Select a time slot that you see below. Is the time slot you are looking for crossed out? Don’t worry, its either because the practitioner is on vacation or that particular slot is already booked. Let’s choose another date. Click on your desired time slot and you will be asked to test your device's camera, speaker and microphone to ensure that it is ready for the upcoming session. Read more about device test here. Once your device checked is completed, you will be asked to write a message to your practitioner. Write the ailments/issues you wish the practitioner to address during the session, this will help the practitioner prepare for the session. You are almost done. Finally, let us help you with making the payments. Make hassle free payments on Healing Clouds using your PayPal account. Click on "Pay Now" and you will be directed to PayPal. Log in to your PayPal account and proceed with the payments. And voila!!! Your session is booked. Check your email for confirmation of your booking. Please feel free to let us know in case you have any further queries regarding this.